OnePlus had recently announced its partnership with automotive and technology company McLaren to launch a limited edition OnePlus 6T smartphone. Apart from the partnership, OnePlus is also celebrating its 4th Anniversary in India by providing exciting deals and discount on OnePlus 6T. 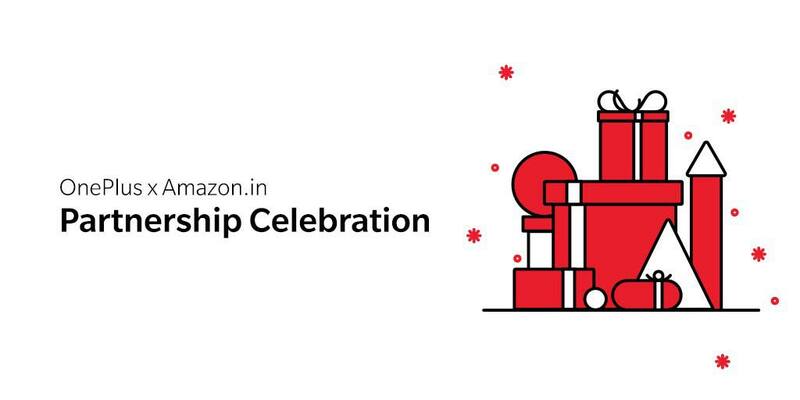 Now, Amazon.in in association with OnePlus has announced a new offer called Lucky Star. Under this offer, buyers on OnePlus 6T will be eligible to win 600 gifts on purchase of the OnePlus 6T smartphone on Amazon.in starting December 2, 2018. The Lucky Star will be eligible to win an exciting range of gifts from the vast selection of products across categories like Appliances, Fashion, Home decor, and others on Amazon.in. As mentioned in this post, all buyers will get ₹1,500 cashback on using Citibank Credit & Debit cards. Additionally, customers can also avail 6 months of no-cost EMI and existing OnePlus users will be eligible for an additional ₹3,000 off on exchange of their OnePlus device for the OnePlus 6T.